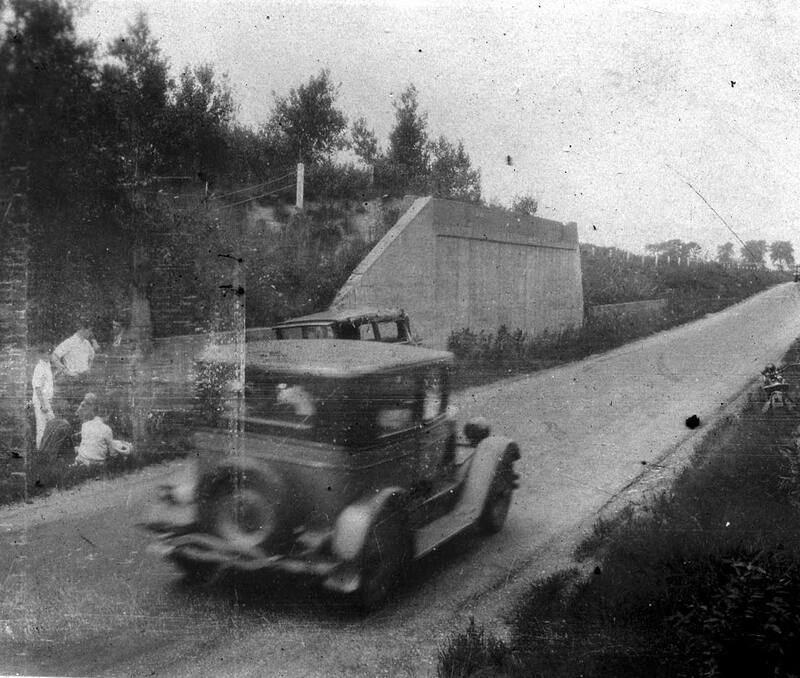 These August 1928 images show the unfinished bridge south of Old Country Road . The photo was taken at the scene of a car accident by Motor Parkway motorcycle patrolman Thomas Zinzi. His motorcycle can be seen on side of the Motor Parkway. 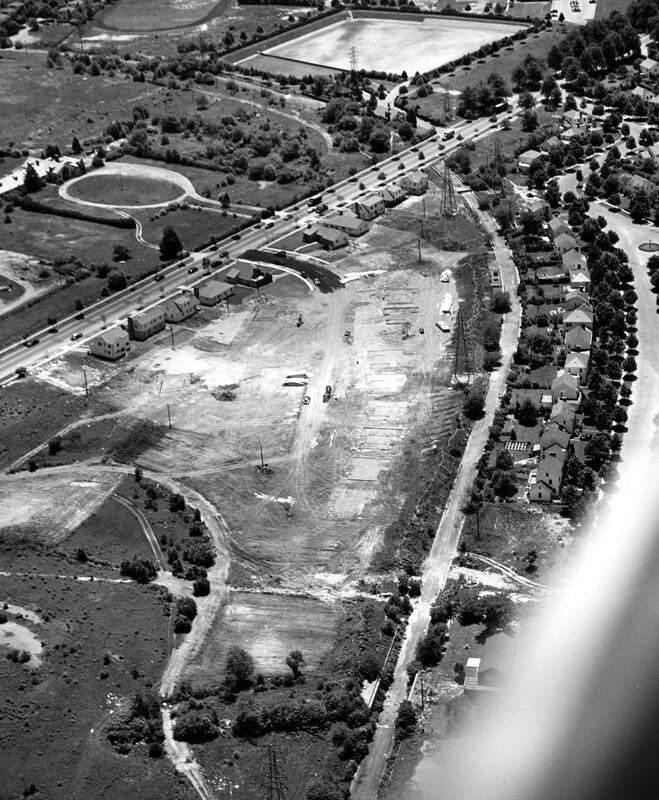 This 1950 aerial shows the Motor Parkway in Garden City looking south towards Clinton Road. The foundations for the Pell Terrace homes were just being built and the Clinton Road Motor Parkway Bridge had been taken down. 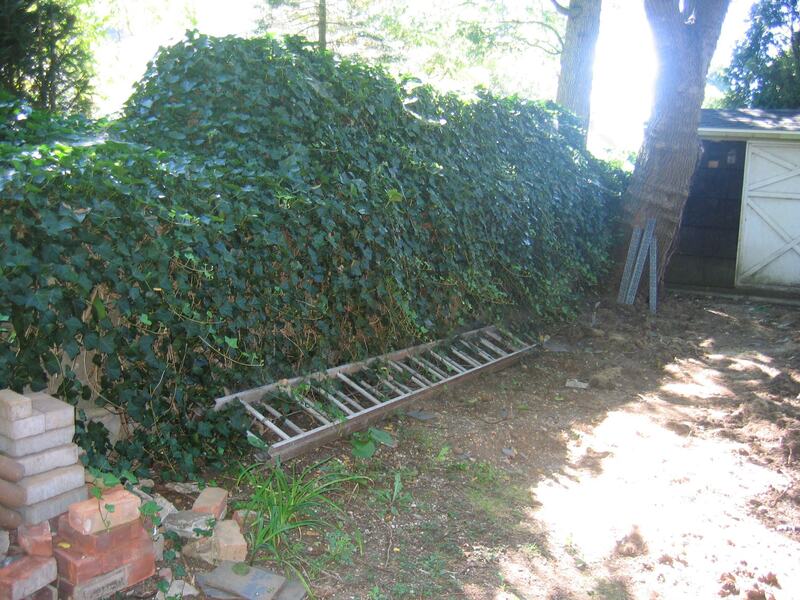 Note: The brick wall on the Motor Parkway near Clinton Road to keep traffic from using the road. 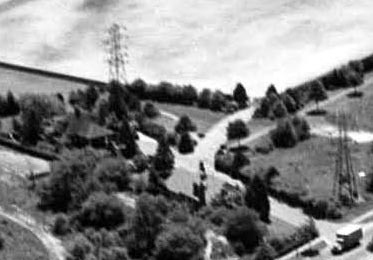 December 6, 2010: A close-up of the 1950s aerial showing the Garden City Lodge and the General Manager's Office. A close-up of the aerial reveals the "Mayan Ruins" bridge and the below-grade Motor Parkway in 1950. 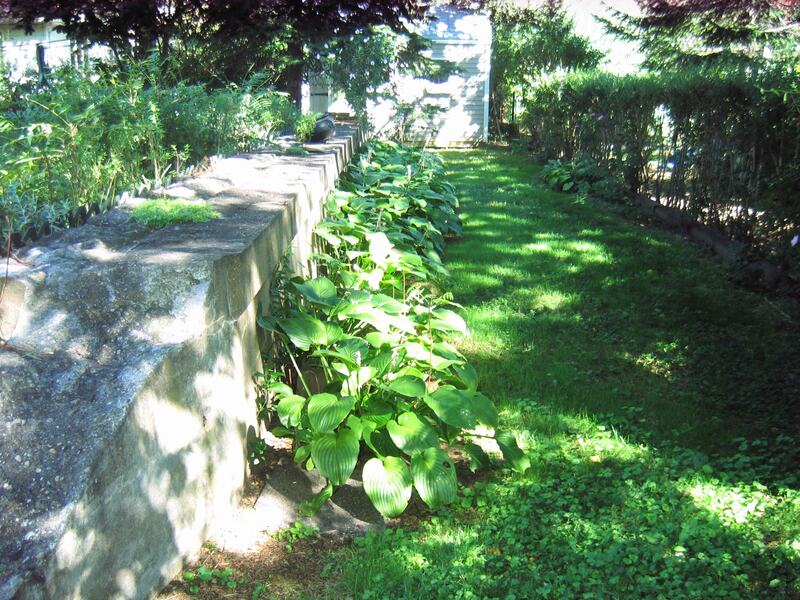 Art, creator of Art's Long Island Motor Parkway Site, has documented the Garden City bridge as it looks today with the permission of the homeowner. The top of the bridge abutments appear to be retaining walls. The below-grade section of the Motor Parkway has been completely filled in. 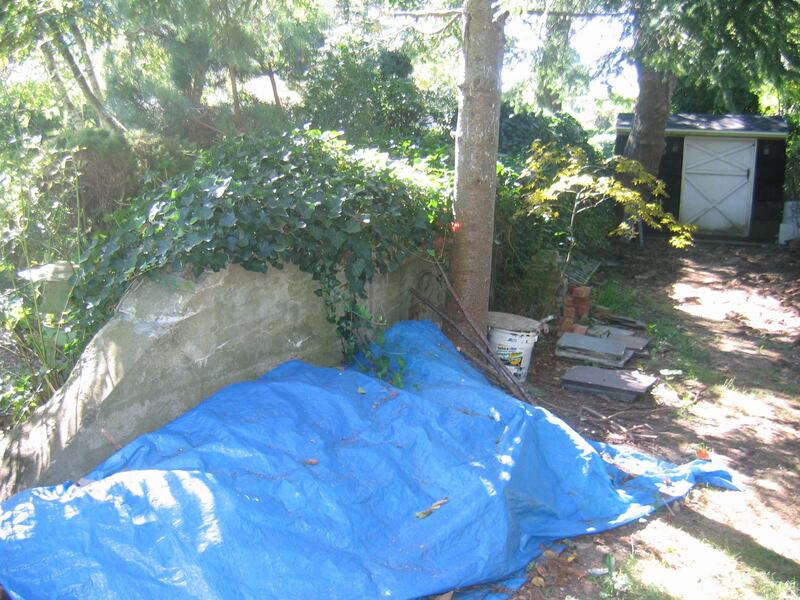 Important: Remember that the bridge is on private property, please respect the homeowners' privacy. 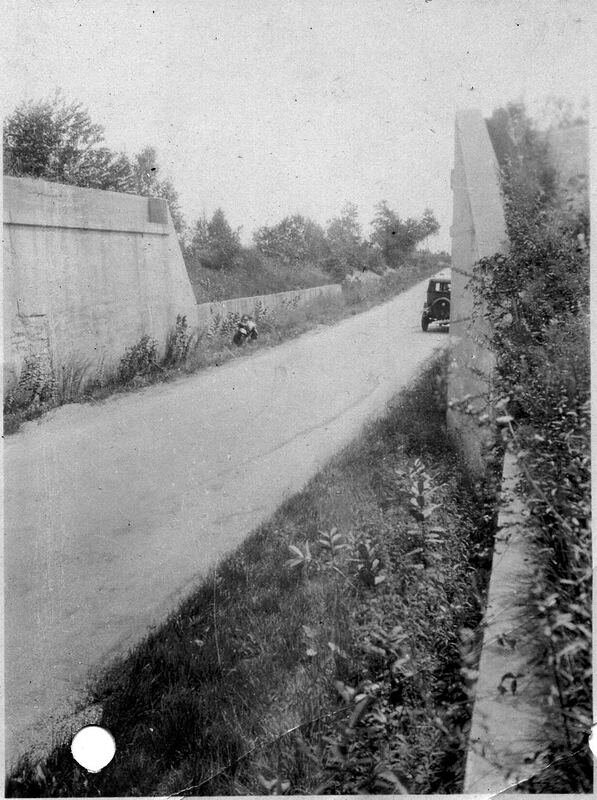 In summary, the "Mayan Ruins" of the Motor Parkway in Garden City were not "ruins" or even walls, but the top sections of an unfinished below-grade Motor Parkway bridge. Since the planned cross-road was never built, the top of the bridge was never completed. It is likely that an archeological dig would find the Motor Parkway intact some 13-15 feet below the ground. Thanks to Al Velocci, Tony Carroll, Art, the Suffolk County Vanderbilt Museum and the Garden City homeowners for helping to document this Motor Parkway historic site. Thanks for the comment. I remember providing these photos to you courtesy of the Suffolk County Vanderbilt Museum in 2008. Time flies!